Why Wouldn't You Go to the Largest Men's Suit Store? 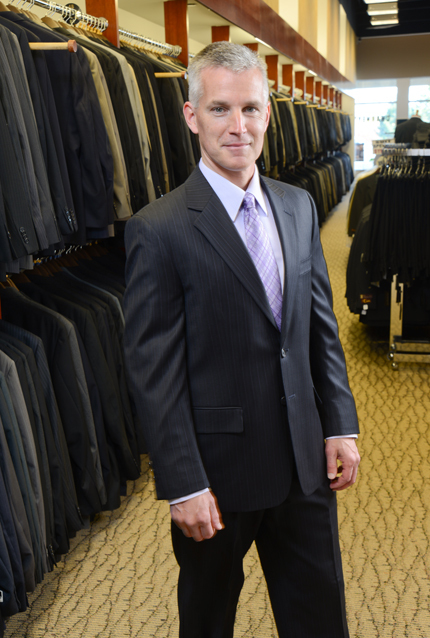 At Charney's we carry CNY's largest selection of men's suits all year round! We carry sizes 36 to 66 in Short, Regular, Long, Extra Long and Portly. Our clothing professionals are known for creating the best fit in the industry, and our tailor shop is right in our Erie Boulevard store to make sure you get the alterations you need. And, we don't overcharge for alterations like some other stores! Our mens suit brands are: Jack Victor, Michael Kors, Carelli, Calvin Klein and Franco Tassi, and Hart Schnaffner Marx. Our suits start at just $195. The next time you need a suit, come in and experience the difference at Charney's Erie Boulevard East or Charney's Route 31 Clay location in Syracuse, NY. Sign up for our email list and you'll know about Charney's Fabulous sales before the general public! The "wall of suits" at Charney's is assurance that you will find the right suit for you in your proper size!